Dare to explore more than you ever imagined – we can do it together! PopArt Studio - Serbia - is a full-service digital agency which offers internet marketing services and has a vast experience in this area, as well as numerous awards and appraisals. We are specialized in web and graphic design, branding, SMM and SEM, including organic SEO services as suggested by Google, as well as other internet marketing services. A professional web design is not all it takes for a website to get lots of traffic; what is important, however, is for your website to show up among the top results in the SERP (search engine results page) when search for a keyword. This is exactly what optimization is about: attracting targeted visitors from the search engine to browse your website and, eventually, purchase your services/products. - 70% of users who search for a term open only the first three results? - 90% of users who search for something do not click on the second page of Google’s SERP? No matter if your website just gives information or offers services or products to sell, the majority of its visitors will come to it via search engines. Only a small number of people who know or have heard of your company reach it via a direct link or domain name. If your website is optimized, its traffic can improve significantly, which can lead to a higher number of calls and queries, but also to an increased interest in your services and products. The investment you dedicate to SEO can return even multiplied, with increased profits based on higher positions in the SERP. We now live in a time when the Internet is taking the biggest marketing piece, thus becoming the most dominant promotion and advertisement medium. When compared to conventional advertising, the Internet, in fact, offers more options for reaching your potential shoppers. Google search gives you a chance to be seen, so to hold a strong position, you need to use recommended techniques which can contribute to getting the best results. Optimized websites get more than 80% of visits from search engines. Internet traffic largely depends on the search results in the biggest commercial search engines, such as Google, Bing, and Yahoo. If your site does not appear in the mentioned search engines when key words are entered in the search box, you can lose an enormous number of visitors and, therefore, potential customers or end users. If you want to give your business a boost, SEO optimization for Google is something you must not avoid. Since Google is the most widely used search engine, good reasoning says that when one optimizes a website, one should optimize it according to the big G’s recommendations. Higher ROI - When compared to other types of marketing, Search Engine Optimization has the highest ROI (Return on Investment). 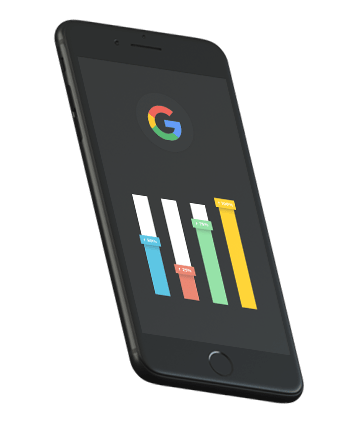 In other words, a website optimized according to Google’s standards has a tendency to rank higher in the SERP, which can bring your business more money than you have originally invested. Better UX – Quality content and improved user experience (UX) have become one of the most important ranking factors. An optimized website can do a lot more when it is focused on UX, when products and services are presented in the best way possible, but it can also convince the visitors to contact you. More visits – Websites positioned in the highest positions of the SERP usually get the most traffic. Website authority largely depends on the number of users who visit it and the number of pages they browse, which further influences the website’s ranking directly. The higher the position, the more chances your business is offered. Better visibility and sales – Thanks to high positions in the SERP, which result from implementing and meeting numerous SEO rules and recommendations, your website can become more visible to the end-users. If the website presents products and services in the right way, better visibility can lead to more visits, which directly means more sales. Targeting - One of the first things that need to be defined when doing organic search engine optimization are the target group and keywords, with the goal of attracting visitors who are truly interested in the content you offer. It is important to target a certain group of people based on geo-targeting and thus open door to better rankings, having in mind a city, state or region. Affordable SEO pricing - When compared to other marketing activities, investing into SEO looks like the best investment. This investment can give you permanently better positions in the SERP, more website visits, better brand building, and as a result – more sales. Thus, the money you invest into these services is not only one of the best and cheapest investments, but also an investment which can return in the long run and constantly bring profit. If you have a website and want it to be ranked better in the SERP, contact us for a free SEO analysis. 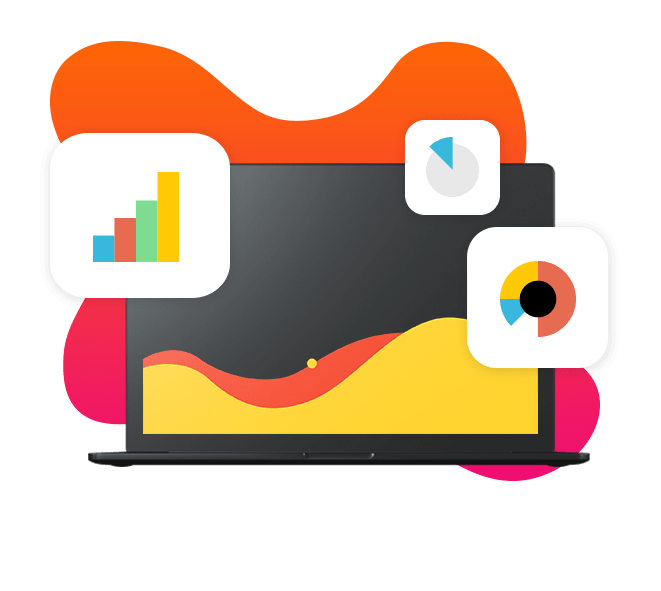 We will do it free of charge and give you an insight into current positions and send you a report with improvement suggestions, with our SEO offer. SEO analysis starts by evaluating the quality of your keywords. The choice of keywords is the most important step which is why it takes time to make this step in the best possible way. First of all, you should try walking in your users’ shoes – if you were them, what would you type into the search field if you wanted to browse something from your website? There are SEO tools that can help you check average searches of a keyword during a certain period. We can check how hard it is to rank on the first page for the selected keywords and how to get there. Your Internet competition includes all the websites which are on the first and second pages for the keywords relevant to your website. If you want your website to rank higher on Google, it is necessary to meet your competition first. Having this in mind, we analyze your competition in detail, and based on the data we fetch, we draw up the best strategy for your business. Learn more about competition analysis. 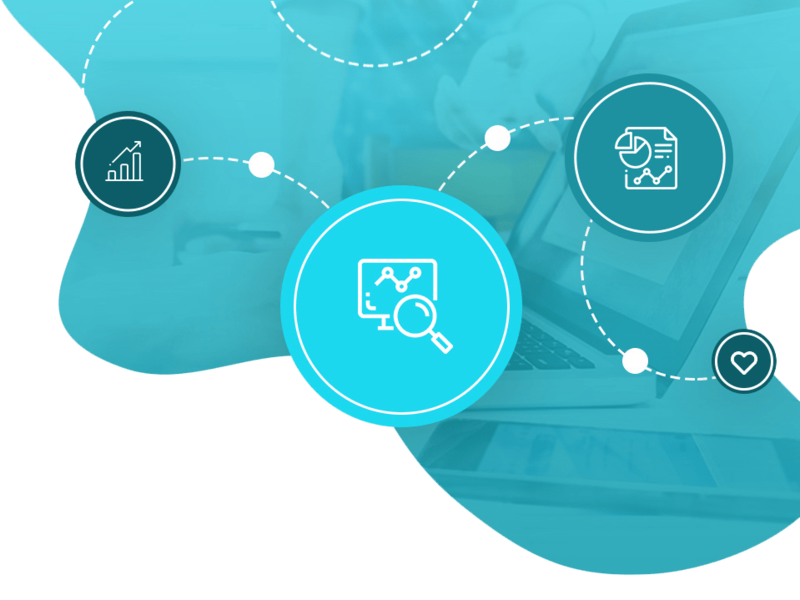 You can consult with our team of SEO experts who make a detailed assessment of your website’s current condition and make a long-term strategy for optimization and promotion. We research in detail the keywords you want your site to rank for in the SERP. We do competition analysis and research, and put special emphasis on planning and starting the promotion campaigns. On-page optimization refers to arranging and implementing Schema.org micro-formats, code validation, improving headlines, meta-elements, performance optimization, and page loading speed. We write and submit quality content for/into your website, relevant to your niche and page visitors, or start a blog and determine categories and subcategories which depend on the target group. As a part of off-page optimization, we draw a strategy, start promotions, create and manage social media network pages for your company, as well as start link building campaigns on websites and blogs within your niche. We submit your website to Google Maps, create a page on Google My Business, and connect them with your website. Organic SEO, as described above, brings positive results naturally, but there are also paid techniques that can bring results when you need them most. By proportionately combining organic and paid SEO, you can make things happen and improve your business significantly. We monitor your progress and report to you consistently about our SEO activities and your current positions with maximum transparency and insight into our business. Our SEO experts are well acquainted with more than 200 Google’s ranking factors which affect a website’s positions and are qualified enough to bring only the best results. By applying recommended on-page and off-page SEO methods and techniques, we invite Google to index your website and rank it high in the SERP. User experience (UX) is, actually, one of ranking factors. Google indexes websites better if they have implemented responsive design, which adjusts it to mobile devices (phones, tablets, laptops, etc.) and reward it with higher positions if the design and content offer the best UX. Do you still not have a website or is your website slightly old or out of fashion? Do not let potential buyers leave your website because of its age-old design. Order web design and make more profit on the Internet! Do you want to be a part of the online market? Request an internet marketing query.